Whole 30 – tried it and lasted 3 weeks instead of 30 days? Work out – I did! I actually worked out and ate semi-right and lost 30 pounds in 2017!! Be more decisive – not really? I feel like I’m more decisive now than I was in January though! Self care – I have really upped my self care game this year by taking better care of my skin and losing 30 pounds! Save money – Not really? It seems like every time I have a little money saved I have to spend it on something…A/C maintenance, home repairs, dog teeth cleaning/extractions, etc. Travel to one new place – I did! I traveled to Emerald Isle, North Carolina this year with my family! Take life one day at a time – for the most part. Read 50 books – DONE! I read 88 books this past year! Have fun – most of the time! Double my blog page views and blog related income – I increased both but didn’t double them, still headed in the right direction though! Overall I think I did ok on my 2017 resolutions. I think one of my problems was that some of them were kind of vague and not really measurable. So I have definitely taken that into consideration for 2018. 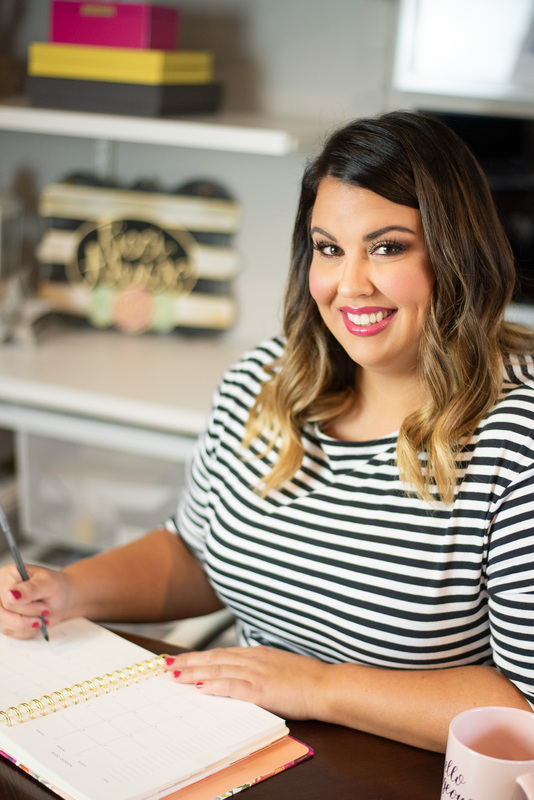 I have also decided to separate my personal goals from my blogging goals! 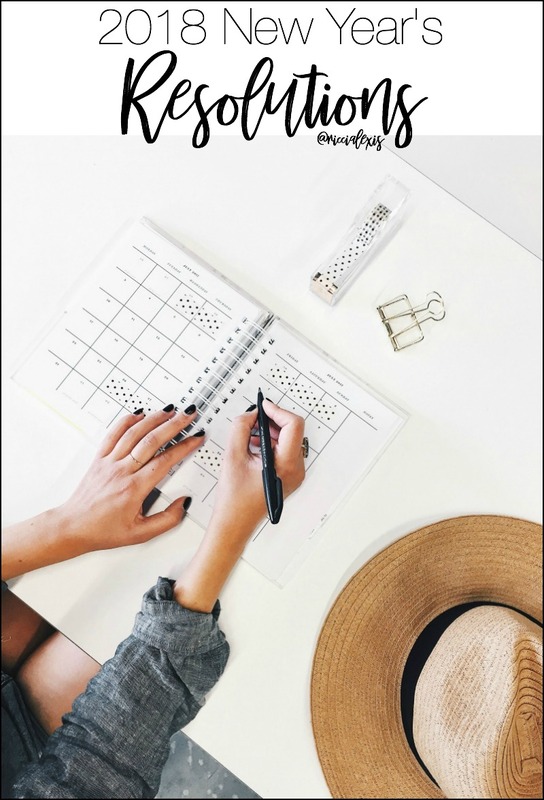 Since I am separating my resolutions I today I am only going to share my personal resolutions and share my blogging resolutions with you tomorrow! Sound fair? I think so! So let’s get to the resolutions already!! ONE. Read 100 books. Last year my goal was 50 books and I honestly just pulled that number out of thin air because I had no idea how many books I actually read. Since I was able to read 88 books without even trying I decided to shoot for 100 this year. Wish me luck!! TWO. Lose another 30 pounds. Like I mentioned earlier, I always resolve to “lose wight” but never set an actual number and since I am making my resolutions more attainable/measurable this year I am throwing a number out there. Last year I was able to lose 30 pounds so that’s my goal this year too. THREE. Travel to one new place. 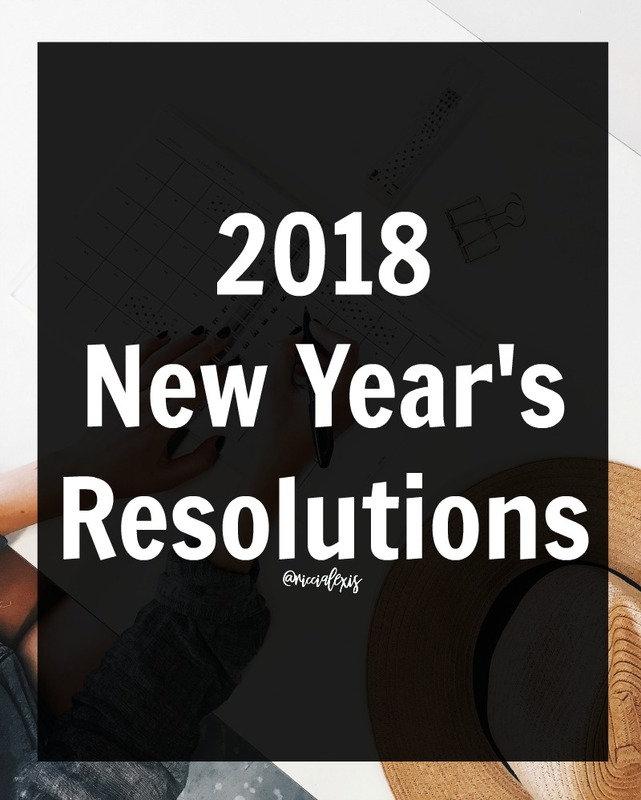 I think this resolution was my favorite by far because I love to travel and planning trips and even though I have a travel bucket list about a mile long I will settle for one new place this year. I already have lots of football games and concerts on my calendar for 2018 but I also want to go somewhere I have never been before! FOUR. Pass my NPS exam. So for my “real” job I work as a Registered Respiratory Therapist (RRT) in a busy Neonatal ICU in central Arkansas. I LOVE my job and I LOVE learning so one thing I want to do to “improve” my skills is to study for, take and PASS my Neonatal/Pediatric Specialty exam. FIVE. Try five new things. I realize this sounds a bit vague but there are sooo many things I want to try that I couldn’t pick just one! I want to take cooking class at my local culinary school, I want to go see a musical at a different theater in a new town, I want to skydive, etc. So. over the course of the next year I am challenging myself to find time to try five new things!! This should be fun! And that’s it! I know last year I had ten resolutions but I think five is more than plenty this year. I mean since I’m trying for measurable resolutions that I can actually achieve this year and because I’m also setting completely separate blog resolutions as well. Do you set New Year’s Resolutions?? Did you stick to/complete your resolutions from last year?? Sounds like 2017 was a good year for you. Love all the books you read. Here’s to 2018. Bring it. Sounds like you had rockin’ year! I’ve lost 35lbs this year too! 25 more to go and I’ll be at my goal weight! So, my resolution includes that. We can do it! My other 2018 resolutions include: saving more money, upping my make-up game, mastering the messy bun (I’ve been doing it all wrong all these years), and discovering more of Arkansas (especially waterfalls!). Happy 2018 to you, Lil Ricci!!! You did great in 2017! Good luck with your resolutions in 2018. I rarely make any. I would love to read 100 books though since reading is one of my favorite things to do. I think 5 goals is good. I had goals last year and I did pretty good. My goals for this year are still in my head. I’m going to put them on paper tomorrow. I love how you went over last years resolutions along with this years! I think the fact that you increased on your blog is what matters even if you didn’t double. Wishing you all the best in 2018! Awesome goals! Kudos on losing those extra pounds and good luck this year. I am including in going back to reading books again this year. I’m feeling guilty that I haven’t set any resolutions or goals yet. You’ve got a great list and I’m sure you will accomplish what you want. Good luck on your test. Holy moly Ricci! Congrats on losing 30 pounds AND reading 88 books this year, that is amazing!! That’s super inspiring, I hope to achieve the same things as you did last year in 2018! I love the goals you’ve set for yourself this year. 100 books is an incredible goal, and since you read 88 last year I know you can do it! Also, good luck on your test! I think it’s awesome you want to improve yourself. Good luck with everything this year! I can’t wait to follow along! Cheers to a wonderful 2018 for year! I want to lose a little weight this year myself. Wow, you read so many books! I’m making my list of resolutions for the year and one of mine is to read ten books, LOL. I’d BETTER achieve that after seeing what you’ve done! Your list is great and super attainable – thanks so much for sharing!